, a German anatomist and botanist, was born August 11, 1704, at Francfort on the Oder. 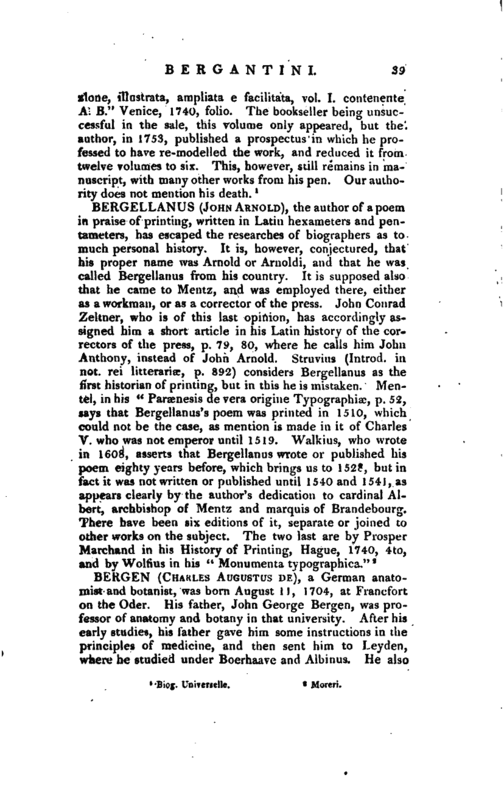 His father, John George Bergen, was professor of anatomy and botany in that university. After his early studies, his father gave him some instructions in the principles of medicine, and then sent him to Leyden, where he studied under Boerhaave and Albinus. He also | went to Paris for farther improvement in anatomy. The reputation of Saltzman and Nicolai next induced him to pass some time at Strasburgh, and after visiting other celebrated universities in Germany, he returned to Francfort, and took his doctor’s degree in 1731. 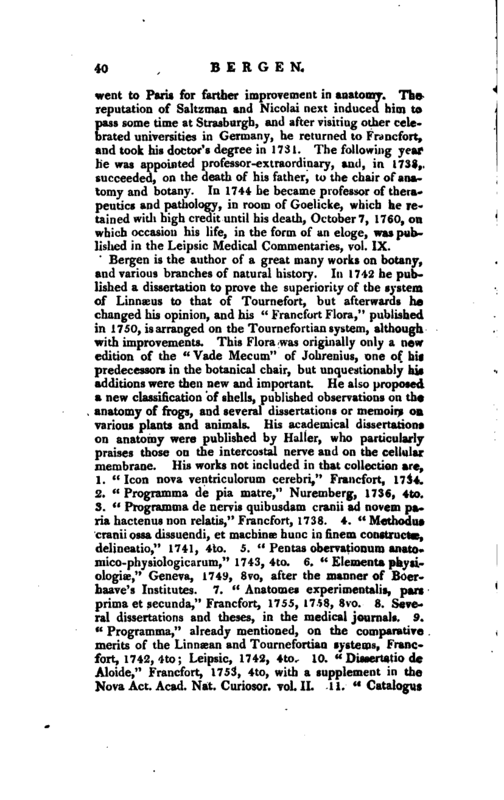 The following year he was appointed professor-extraordinary, and, in 1738, succeeded, on the death of his father, to the chair of anatomy and botany. 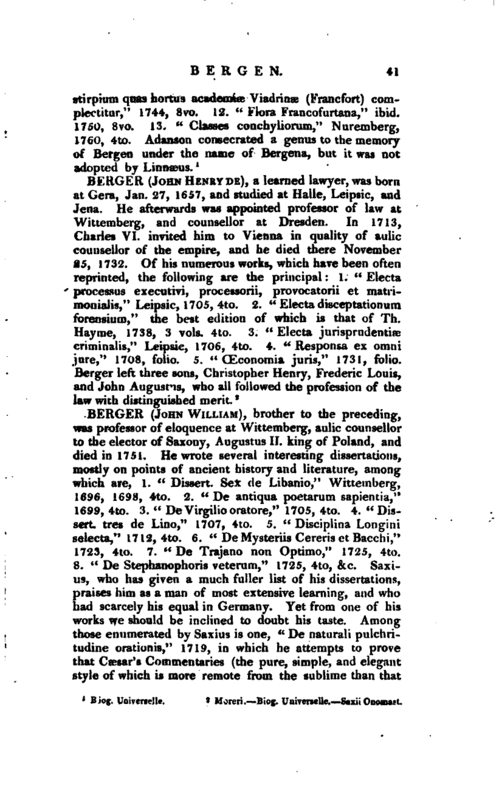 In 1744 he became professor of therapeutics and pathology, in room of Goelicke, which he retained with high credit until his death, October 7, 1760, on which occasion his life, in the form of an eloge, was published in the Leipsic Medical Commentaries, vol. IX.